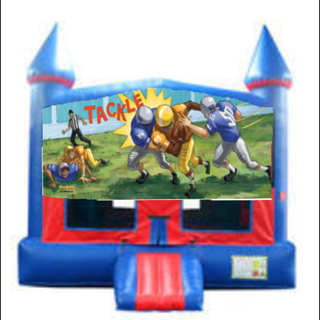 What's better during NFL season or Football games than a Football Bouncer? Any sports fan will be amazed with the best of both worlds in this sports bouncer. With a full sized bounce house, anyone will go fanatic for this awesome bounce house.